CONNECT WITH TARGETED READERS ACROSS GLOBAL MARKETS EVERY MONTH WITH RAIN CHECK. Get into the lives of consumers, by attaching your brand to the things they really care about. At Rain Check we provide native content opportunities to inform readers about offers and promotions. There is no more cost effective way of using content to message people than Rain Check. As a leading premium content publisher, NEWS Company, we connect brands to people’s passion for celebrity, travel, homes, food, beauty, fashion, automotive, luxury, and finance. More than a media partner, Rain Check and the other News Company websites, creates content that inspires and connects across platforms and across continents. We drive inspiration, engagement and consumer experience through social and online channels across a variety of bespoke touchpoints. We publish advertising banners for businesses, events, products and services. We also publish content written by clients or their PR professionals as well as custom content that our team writes to order. There are no fixed charges. We negotiate a rate that suits small business people's budget with verifiable performance targets. 1.1. These terms (together with the applicable Cancellation Date and Advertising Material Lodgment Requirements) govern each Confirmation Advice, Proposal, supply of Services and Booking and, except as modified in accordance with these terms, constitute the entire agreement in connection with each supply of Services. All other express or implied terms, including Client’s terms, are excluded to the extent permitted by law. 1.2. No variation to these terms binds Rain Check unless expressly and specifically agreed in writing by Rain Check and Client. 1.3. These terms supersede any terms that have previously governed any supply of Services and prevail to the extent of any inconsistency between a written or verbal quotation and these terms. Any written or verbal quotation provided by Rain Check to Client, whether in the form of a media kit or otherwise, is a mere invitation to treat and does not constitute a contractual offer. (b) for a Digital Platform, Rain Check may issue a Proposal. If Rain Check issues a Proposal, Client may accept that Proposal by signing and returning it to Rain Check. 3.2. Subject to clause 4.3, Client may cancel all or part of a Booking without penalty if written notice is given to Rain Check before the Cancellation Date. 3.3. If Client cancels a Booking after the Cancellation Date, including a Booking accepted by Rain Check after the Cancellation Date, Client must pay Rain Check the full amount for that Booking. 3.4. If Rain Check fails to issue a Confirmation Advice or a Proposal relating to a request for Services but provides the Services requested, these terms bind the Client as if a Booking had been made. any Advertising Material which is the product of such creative services, including its compliance with applicable laws, regulations and codes of conduct. 4.2. Any text, images or logos that Client wants to include in Advertising Material being created by Rain Check must be provided to Rain Check at Client’s cost within the time frames notified by Rain Check to Client. 4.3. If Client cancels a Booking at any time, Client remains liable for the production costs for any Advertising Material created by Rain Check in connection with the Booking at the time of cancellation. Where Rain Check reasonably considers that Advertising Material on any Digital Platform is under performing, Rain Check may change the placement of that Advertising Material to a similarly sized placement on a reasonably equivalent Digital Platform to that specified in the relevant Booking. 6.1. The applicable rate for any Booking is the rate specified in the Confirmation Advice or Proposal (or, in the absence of a Confirmation Advice or Proposal, in the rate card for the applicable Publication or Digital Platform as of the date of the request for Services). Client must pay to Rain Check the fee for a Booking prior to the Cancellation Date unless Rain Check has extended credit to the Client, in which case the Client must pay to Rain Check the fee for a Booking within 45 days of the invoice date for all agency Bookings and 30 days of the invoice date for all direct Bookings. Rain Check may cancel a Booking if Rain Check has not received the fee for that Booking by applicable payment date. 6.2. Client must pay any production costs (including those associated with inserts and onserts) at Rain Check’s standard rates from time to time where production costs are incurred on behalf of Client. 6.3. All Rain Check rates or costs are exclusive of any applicable GST. Rain Check will issue a tax invoice to Client in relation to any supply that is subject to GST. The amount of GST payable by Client shall be calculated by multiplying the GST exclusive sum payable for Services by the rate of GST applicable at the time of the supply. The terms “GST”, “supply” and “tax invoice” used in this paragraph has the same meaning as under the A New Tax System (Goods and Services Tax) Act 1999 (Cth). 6.4. Time of payment of invoices by Client is of the essence. Without prejudice to any other remedy, Rain Check may charge interest on any overdue payments at an annual rate equal to 2% per annum above the 90 day dealers bill rate as published in the Australian Financial Review (to accrue from day to day). 7.1. Rain Check may require Client to complete a credit application before accepting a Booking or providing Services. 7.2. Rain Check may refuse to accept any Advertising Material and may cancel or reschedule any Booking or refuse to provide any Services. 7.3. Client must not resell or sub-license a Booking or use a Booking other than for Advertising Material referred to in the applicable Confirmation Advice or Proposal. 7.4. Rain Check makes no warranties in relation to proximity of Advertising Material in a Publication or on a Digital Platform relative to Advertising Material relating to competing products or services. 7.5. Client consents to Rain Check reformatting any Advertising Material for inclusion on a Digital Platform or otherwise in a digital or other derivative version of a Publication and warrants that doing so will not infringe any person’s rights. 7.6. Client must not insert any data tracking or collection device (including any tag, code, cookie or pixel) into Advertising Material for a Digital Platform without Rain Check’s permission. (b) for a Digital Platform, by such time and in such form as notified by Rain Check. 8.2. For Publications, Rain Check only accepts digital advertising files via digital advertising delivery services that comply with Rain Check’s technical specifications and that appropriately interface with Rain Check’s advertising bookings system, including Quickcut, Rain Check Ads (selected Publications only) and Adsend. and, in all circumstances set out above, Rain Check remains entitled to the full payment for the Booking. 8.4. Rain Check may place the word "advertisement", “advertorial”, “promotion” or similar wording within or adjacent to any Advertising Material which, in Rain Check’s opinion, resembles editorial material. 8.5. Rain Check will retain Advertising Material for no longer than 6 months from the end date of the Booking(s) in respect of which Rain Check requires the Advertising Material to provide the Services. (f) does not contain anything which may give rise to any cause of action by a third party against Rain Check, including material which is defamatory or obscene or which otherwise causes injury or damage to any person. 9.2. Client warrants to Rain Check that, in respect of each Booking, Client is acting in its own right, as principal, and not as agent for, or otherwise on behalf of, any other party in relation to Client’s dealings with Rain Check. Client indemnifies Rain Check, its officers, employees, agents and affiliates (and their employees and agents) against any action, claim, loss, expense or cost, suffered or incurred, whether directly or indirectly, by Rain Check, its officers, employees, agents and affiliates (and their employees and agents) as a result of any breach by Client of these terms (including the warranties set out in these terms) or otherwise (including in connection with recovering any amounts owed to Rain Check by Client) arising from publication of Advertising Material, cancellation of or failure to publish any Advertising Material or otherwise in connection with such advertising. 11.1. Rain Check (and its officers, employees, agents and affiliates) is not liable under these terms or otherwise in law for any indirect, special, economic or consequential loss or damage suffered or incurred by Client (or any other person) or loss of revenue, profit, goodwill, data or opportunity or loss of anticipated saving whether caused by negligence or otherwise and whether or not Rain Check was aware or should have been aware of the possibility of such damage. 11.2. To the extent permitted by law, all representations, conditions and warranties, whether based in statute, common law or otherwise, are excluded. Liability of Rain Check for any breach of a term, whether implied by law or otherwise, is limited, at Rain Check's option, to the supply of the Service (or part thereof) again or the payment for the cost of having the Services (or part thereof) supplied again. 11.3. Rain Check is not liable for any delay or failure to perform the Services that is due to any act of God, revolution, unlawful act against public order or authority, breakdown of plant, industrial dispute, government or legal restraint or any other event not within the reasonable control of Rain Check. 12.1. Rain Check may cancel, alter or suspend any credit terms (if applicable) when, in Rain Check’s opinion, the financial condition of Client or the status of Client’s account requires it and Client agrees to pay on demand all sums owing in connection with any credit facility if the credit facility is suspended or cancelled. 12.2. If Rain Check grants any credit facility to Client, Client agrees that a demand purporting to be signed on behalf of Rain Check identifying unpaid amounts is conclusive evidence that such amounts are payable and unpaid. 12.3. At the time at which it makes any request for Services, Client warrants that it is solvent and able to pay all of its debts as and when they fall due and Client must inform Rain Check of any facts which might reasonably affect any decision to provide the Services and/or grant credit. 13.1. These terms and any agreement between Client and Rain Check are governed by the laws of New South Wales and each party submits to the jurisdiction of courts exercising jurisdiction in that State. 13.2. These terms bind Rain Check and Client and their respective successors. 13.3. The invalidity or unenforceability of any provision of these terms does not affect the validity or enforceability of the remaining provisions. 13.4. Client must not assign its rights under these terms or a Booking to any other person. Proposal means a notice from Rain Check to Client confirming the details of a potential Booking and offering to provide the Services the subject of the potential Booking. Services means the provision to Client by or on behalf of Rain Check of advertising opportunities, including advertorials, in a Publication or on a Digital Platform. 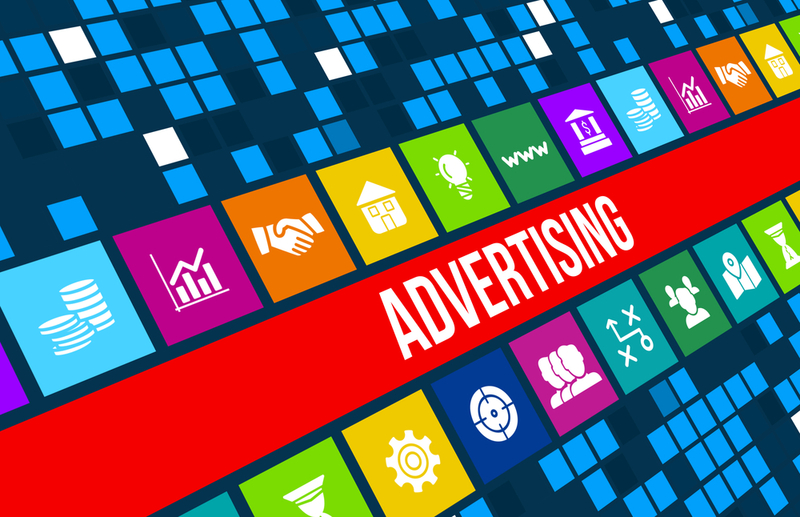 Advertising Terms last updated on 6 February 2017.